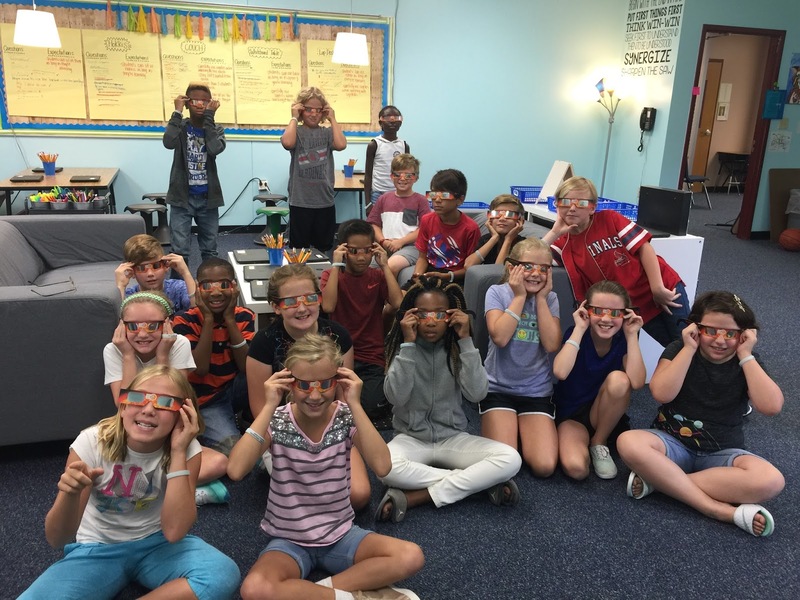 On Monday, August 21st we celebrated Solar Eclipse Day! Students participated in activities throughout the day focusing on the 2017 Solar Eclipse. In the afternoon students spent time watching the NASA live feed of the Eclipse, working on an online scavenger hunt and completing an online Eclipse Breakout room. 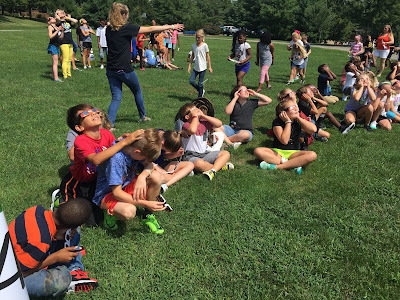 Students got 3 chances to view the Eclipse outside. Here are some photos from our day! And finally here are some awesome pictures that were taken by a Barretts' parent during totality. Expanded, Word, and Standard Form of numbers up to 1,000,000. Students recognized that in a multi-digit number a number in one place represents ten times what it represents in the place to its right. You can view the Family letter for this unit here. This resource will be housed on the "Math" page of the blog if you should need it in the future. We haven't begun our science and social studies units yet so we've been utilizing this time to wrap up beginning of the year odds and ends. Students have also been using this time to work on their "What Makes a Leader" project. Students have selected a leader in our community to interview. Students will conduct an interview and create a presentation sharing what they learned about "What Makes a Leader". Presentations will take place on September 1st. Students began working in our first narrative writing unit. This week was focused on collecting ideas and completing a cold write. A cold write is an opportunity for students to show everything they know about a genre of writing before the unit begins. This helps both me and the student to goal set for the unit. Our goal this week in reading has been to build stamina and practice strategies that will help us develop a better understanding of the books that we're reading. Students completed a pre-assessment, learned how to "read intensely", chose "just right books" with the 5 finger trick and how to effectively retell and synthesize. We started our class read aloud, The Tiger Rising and we're practicing these skills with this new text.